Palestinians were right to reject partition. The Trump presidency has been very good for Israel. Settlement construction is booming, the annexation of occupied East Jerusalem has been legitimized, and even attempting to discuss Israel’s obligations under international law is met with extreme hostility. Although previous US administrations always provided cover for Israel, they still sometimes managed to slip in an ode to human rights and feigned ‘concern’ regarding Israel’s constant violation of international law. Naturally, this never really changed Israeli policy in any meaningful way. Even the Obama administration, which many absurdly labeled ‘anti–Israel,’ still managed to approve a whopping 38 billion dollar military aid package to Israel. Yet in today’s international climate, even these empty words or merely acknowledging the rights and dignity of Palestinians are deemed a step too far. Under such circumstances and complete impunity, Israel no longer needs to pretend. Gone are the days of Israel paying even lip service to the ‘peace process’, or pretending that it does not intend to annex and colonize even more occupied Palestinian land. Israel’s fig leaves are rapidly dropping, alienating even longtime supporters. The silver lining, perhaps, is that it is revealing the cracks and decay in long maintained myths surrounding the colonization of Palestine. Thanks to the meticulous scholarship, documentation and investigative research carried out by Palestinians and others, many myths have already been dispelled, such as the claim that Palestine was an empty, barren land upon the arrival of the Zionist settlers. Today, no impartial historian can seriously argue such a claim. Yet for the longest time, this falsehood stood tall and fast, it was the accepted ‘truth’ for millions, a crucial baseline for the Israeli narrative. Many more myths still remain in the mainstream to this day. Unable to find hope looking forward, it is not surprising that, as a form of escapism perhaps, many look back and imagine what could have been. ‘If only something had been done earlier’, they wistfully muse, ‘the two state solution could have been a reality’. Predictably, this is often when the blame game begins. This, I argue, is a classic case of victim blaming, and yet another ahistorical myth in need of correcting. Sustaining this argument requires some glaring lies of omission and manipulation of facts. I believe it is important to scrutinize this claim, and this can only be done by conveying a historically accurate depiction of the debates and context surrounding partition. Before we can talk about partition, however, we need to talk about those demanding partition. Based on the Israeli narrative, this would be “the Jewish people”. This is a dishonest assertion and is often uncritically accepted by many. This line of thought conflates the Jewish people with political Zionism, an ideology finding its origins in Europe in the late 1800s. At the time, the Jewish people were largely uninterested in Zionism. As a matter of fact many groups were fiercely anti-Zionist. The attempt to conflate the two is an attempt to give legitimacy to self-professed settlers from Europe, and portray any criticism of the Zionist project as inherently antisemitic. Yet in the early days, the Zionist movement was astonishingly honest about its existence as a form of colonialism. The founding fathers of Zionism, such as Herzl, Nordau, Ussishkin and Jabotinsky –among others- employed the same colonial tropes and tactics used by Europeans to legitimize their imperialism. Not only was Zionism colonialism in practice, but Zionists openly referred to it as such; for example, Herzl sought counsel from Cecil Rhodes on how best to proceed with the process of colonization, describing Zionism as ‘something colonial’. To drive this point even further, the first Zionist bank established was named the ‘Jewish Colonial Trust’ and the whole endeavor was supported by the ‘Palestine Jewish Colonization Association’ and the ‘Jewish Agency Colonization Department’. At the end of the day it was a group of European settlers claiming an already inhabited land for an exclusivist ethnic state, while planning to ‘spirit the penniless population across the border’ through various means. Modern attempts to retroactively whitewash Zionism, and portray it merely as a movement for self determination, cannot escape these facts. When partition is brought up in the historical sense, it is not surprising that most tend to think of the 1947 UNGA resolution. However, this was not the first partition scheme to be presented. In 1919, for example, the World Zionist Organization put forward a ‘partition’ plan, which included all of historical Palestine, parts of Lebanon, Syria and Transjordan. At the time, the Jewish population of this proposed state would not have even reached 1-2% of the total population. Naturally, such a proposal did not see the light of day, but it is an indication of the entitlement of the Zionist movement in wanting to establish an ethnic state in an area where they were so utterly outnumbered. To put this into context, even after waves of Jewish immigration to Palestine, and a much smaller area allocated to the Jewish state in the 1947 partition plan, the proposed Jewish state would have had a Jewish majority of only 60%. As even on the eve of the Nakba, the Jewish population in mandatory Palestine was barely a third. If we consider that most of this population arrived during the 4th and 5th Aliyot (Between 1924-1939), then the majority of those demanding partition of the land had barely been living there for 20 years at the most. To make matters worse, the UN partition plan allotted approximately 56% of the land of mandatory Palestine to the Jewish state. Why, then, were Palestinians expected to agree to give away most of their land to a minority of recently arrived settlers? Why is the rejection of such a ridiculously unjust proposal framed as irrational or hateful? Jabotinsky understood clearly what establishing Israel meant for the natives; he did not mince words, in his 1923 essay The Iron Wall he wrote that ‘Every native population in the world resists colonists as long as it has the slightest hope of being able to rid itself of the danger of being colonised’. What was being asked of Palestinians was nothing short of rubber-stamping their own colonization with approval. Nobody should be expected to agree to that. Yet for some, this is not seen as convincing reasoning for the rejection of partition. They acknowledge the obscene injustice of what was being asked of Palestinians, yet they argue that due to the historical persecution of the Jewish people, and fresh off the heels of the Holocaust, creating a Jewish state at the expense of Palestinians was a historic necessity. While such justifications serve mainly to assuage guilt, I argue that there is also a practical reason for why accepting or rejecting partition was irrelevant to the grand scheme of Zionist colonization of Palestine. It is often brought up how the Yishuv agreed to the 1947 partition plan, showing good will and a readiness to coexist and live with their Palestinian neighbors. While this may seem true on the surface, a cursory glance at internal Yishuv meetings paints an entirely different picture. Partition as a concept was entirely rejected, and any acceptance in public was tactical in order for the newly created Jewish state to gather its strength before expanding. After the formation of a large army in the wake of the establishment of the state, we will abolish partition and expand to the whole of Palestine. Chaim Weizmann expected that “partition might be only a temporary arrangement for the next twenty to twenty-five years”. So even ignoring the moral question of requiring the natives to formally green-light their own colonization, had the Palestinians agreed to partition they most likely still would not have had an independent state today. Despite what was announced in public, internal Zionist discussions make it abundantly clear that this would have never been allowed. Partition today remains as immoral as it was when first presented, a band-aid solution and a cure for a symptom which overlooks the root cause. Any settlement that is achieved without justice or accountability merely buries the issues in exchange for short-lived quiet; but no matter how long it takes, silenced and ignored grievances will resurface. This becomes exceedingly clear when observing the situation of our brothers and sisters in South Africa today. The impending demise of the Oslo accords can serve as a catalyst to challenge the fixation on the pre-1967 war borders. Reducing the question of Palestine to partition and occupation overlooks crucial components of the struggle. Many may prefer to ignore said components; however, if true peace and justice are our goal, then they must be discussed and confronted. We must start from the beginning and reject any urges to whitewash history. Only with full accountability for the past can we work towards a vision for the land between the river and the sea. Fathi Nemer is a teaching fellow at the Democracy and Human Rights program at Birzeit University. Other posts by Fathi Nemer. The definition of “right” is open to interpretation. The total land area of West Jerusalem (the New City) in 1947 was 19,331 dunams (about 4,833 acres) of which 40 per cent was owned by Palestinian Muslims and Christians, 26.12 per cent by Jews and 13.86 per cent by others, including various Christian communities. Government and municipal land made up 2.90 per cent and roads and railways 17.12 per cent. During the war Israel seized 78% of Palestine (22% more than the Partition Plan recommended, including large portions of the proposed Palestinian state, e.g., Jaffa and Acre), expelled 400,000 more Palestinians for a total of about 800,000 (according to Walter Eytan, then Director General of the Israeli Foreign Ministry) and went on to destroy over 500 of their towns and villages, including churches, mosques and cemeteries. Thanks for the huge amount of detailed information. This is critical in overcoming the relentless disinformation of the Zionists. People have the right to leave and to return to their homes without anyone’s permission – that is what distinguishes a home from a prison. Moreover it is perfectly reasonable not to stay in a war zone. The fact is that people who had left their homes in all sorts of circumstances were excluded, not allowed to return, which is morally very wrong. It doesn’t matter whether they were exhorted to leave by radio broadcasts. Are you not content with right being the opposite of wrong? Which nuances would you like to introduce? 3/4 right = 0.6234345567878 wrong? Exactly. Bingo. There are many besides Israelis that believe the many decisions to reject any partition are/were wrong, not right. obviously the author above is writing about the hypothetical moral high ground as well as what he believes is the legality of which he obviously believes was right. No facts or logic, so go vague. Just one single photograph should have put that silly trope to the lie. I do not believe that was ever the plan. Partition dealt only with sovereignty, not individual ownership of land. The land belongs to its pre-partition owners to this day. The point is still valid however. Why, then, were Palestinians expected to agree to give away sovereignty over their land to a minority of recently arrived settlers? Brewer – The Palestinians had the right to reject the Partition Plan, and in fact they still reject it. It should be noted that the Palestinian rejection of the Partition Plan has been a total political success. Indeed, the plan was foiled. The plan was to found two states in Palestine and a corpus separatum for the Jerusalem area. The Palestinians with the cooperation of the Arab League were able to prevent the realization of the Partition Plan, and they have every reason to be proud of their political maneuvering. There is something missing in the article: Criticism. Actually, there rarely is any criticism of Palestinian policy in this website, and it’s quite a shame. Criticism is a good thing, and it’s really the essence of journalism. Here’s my little contribution of criticism: When you insist on fighting for what you perceive to be a just cause, you should actually prepare for the war. It’s not enough to be “right”; you should also try to be clever. Going to war is dangerous business, especially if you are about to lose. The analysis of the Arab League in 1947 was that the Jews would soundly defeat the Arab world. It really is an interesting phenomenon that educated adults, kings and prime ministers, insist on going to war when the evaluation is certain defeat. 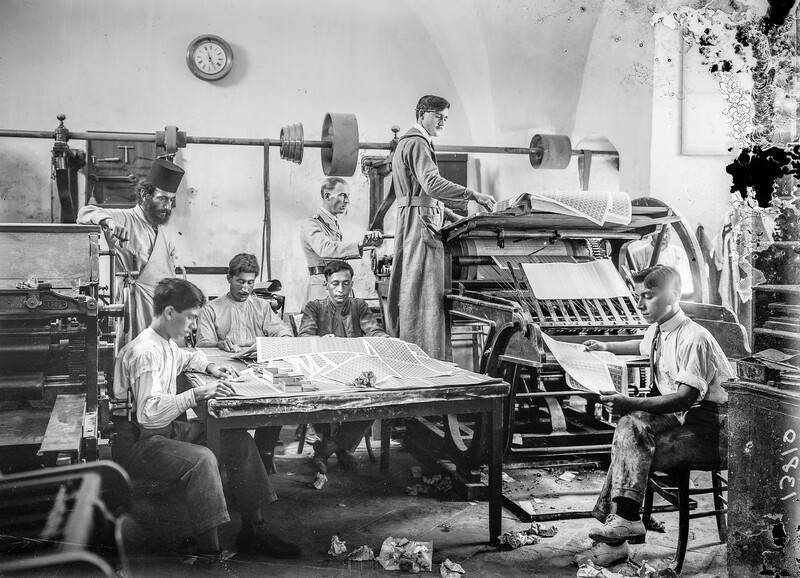 It was believed that not going to war would bring about anger and unrest in Arab societies – and that was more of a concern than losing the war. It’s very strange. It’s really not too relevant today to discuss the rejection of the Partition Plan. One understands that the real message here is to repeat all the anti-Israel lines (“colonialism”, “European immigrants”, bla-bla-bla). However, if nevertheless one finds it important to focus again on events of seventy years ago, at least one should try and give just a little bit of criticism and insight. The readers can handle it. They didn’t have much choice. The Zionists had already started the war. It’s nice to see that the old story that “plucky little Israel managed to defend itself against overwhelming Arab hordes” has been dropped. I’m prepared to offer some. The Palestinians should have started violent action against the Zionists right from the start, instead of trying to find a peaceful resolution. But that is with benefit of hindsight. The question is, what can they do now to prevent the total destruction that the Zionists plan? Not correct. The Zionist plan was to PRETEND to do that, and then stab the Palestinians in the back at the first opportunity. THAT plan has been carried out to this day. I’m more facinated by the the blatant hypocrisy you are presenting in this two conntected sentences. Should we call your “criticism” ‘anti-Palestinan lines, bla-bla-bla’ in return? I agree. They should have followed Iraq’s resistatance to the mandate. But they also should have attacked only the de facto occupation forces. …when they’re simply doing precisely what you say they should be doing. Weird. @Nathan – did you read this article? But in the process of course we must cover our backsides and constantly pretend to be offering “opportunities” for the Palestinians to “miss”. Zionism = hypocrisy at its finest and most scientific. 1967 was really stupid. What OECD country would choose to end up with apartheid? It is like strategizing to get gonorrhea . There’s nothing “moral beacon” or “light unto the nations” about it. Fathi Nemer: To put this into context, even after waves of Jewish immigration to Palestine, and a much smaller area allocated to the Jewish state in the 1947 partition plan, the proposed Jewish state would have had a Jewish majority of only 60%. I highly recommend Nur Masalha’s books. But I think he overlooked an important historical episode in this instance. The Bedouin population and even some of their towns and villages were noted in the Survey of Palestine that the British Mandatory government provided to the UNSCOP committee. The committee members deliberately excluded them from the total population count without consulting the British government. They did that on the basis of a false racial stereotype (that they were non-resident nomads). “The ad hoc committee made a number of boundary changes to the UNSCOP recommendations before they were voted on by the General Assembly. Did the state for the Jews included less Arabs than Jews after this boundary changes? There were a couple of dozen draft resolutions to amend the UNSCOP plan that were referred to the Ad Hoc sub-committees. Those were the “proposed Jewish state” under discussion in the sub-committee reports, not the rejected UNSCOP plan. The US did submit an undated draft resolution A/AC.14/16 to implement the UNSCOP plan without revision. But it wasn’t brought-up for a vote until all of the final reports and recommendations of the sub-committees were submitted. Some of those resolutions , like the Jaffa enclave, had already been approved and included in the 1st Ad Hoc sub-committee final report. I’m not sure about the inclusion of the undated US draft resolution regarding Beersheba A/AC.14/38. The boundaries were changing almost daily during the Ad Hoc Committee deliberations and no one was keeping detailed records. The 2nd sub-committee certainly knew that the Jewish Agency had made a conditional formal offer (regarding the inclusion of the town of Beersheba in the Arab state) to the 1st Ad Hoc Committee. So it too might have been considered part of the pending proposals regarding the Jewish state. In any event, the UN Palestine Commission had the authority to delimit the final frontiers. After the General Assembly adopted the plan of partition, the Commission actually added Arab occupied land to the Jewish state in several instances. Those decisions were made in subsequent meetings and announced in press releases that are still available from the UNISPAL document library. Thanks Hostage. So we can’t be sure, if Jews were a minority in the proposed State for the Jews´, before they started to expell Nonjews? According to the partition plan itself the Jewish state would have 498,000 Jew and 407,000 Arab. But then it states that more than 90,000 Bedouin is not included in the population. so it was 50-50 even with the exclusion of the Jaffa enclave. Zaid, the question is, if excluding the Jaffa enclave, and other areas was before or after the Bedouins were included into the calculation. Talkback: So we can’t be sure, if Jews were a minority in the proposed State for the Jews´, before they started to expell Nonjews? I wouldn’t go that far. Automatic citizenship was conditioned upon UN recognition of the legitimacy of the respective state’s government, i.e. “Arabs and Jews who, not holding Palestinian citizenship, reside in Palestine outside the City of Jerusalem shall, upon the recognition of independence, become citizens of the State in which they are resident and enjoy full civil and political rights. Fully one third of the Jewish residents were still aliens and were not legal citizens of either state before they began expelling the indigenous Arabs. The UN plan called for the establishment of “representative governments”, not Arab-only or Jewish-only ones. UN recognition of Israel’s provisional government was always conditioned upon the assurances its representatives provided that it would implement the provisions of resolutions 181 (II) and194 (III). Those resolutions guaranteed the right of return and the exercise of full civil and political rights hy the former Arab inhabitants. FYI, the exact composition of the populations were always subject to change, since Jews in the Arab state and the City of Jerusalem had one year to opt for citizenship in the Jewish state. The Arabs living outside the Arab state had a similar right to opt for citizenship in the Arab state. Thanks for this excellent survey of fundamental facts that demolish the Zionist lies. This article is an excellent reference to people to link to in the current war of information and disinformation. Great article. Zionism was unjust from the get go. It was hardly the Palestinians’ fault the bots had no land. Or that they thought Jerusalem was magical. If a group of militant lesbians took over the Hamptons and kicked out all the weekenders permanently it wouldn’t be right either. The core problem. Source of Israel’s misery. War could not fix it. Neither can lies. Israel is now unmanageable. Give the Palestinians the Galilee. Or else the vote. The Arabs violently reacted to the November 1947 UN Resolution vote, starting a war that they would ultimately lose. Immediately following that vote, Arab gangs began attacks on Jewish cities; Jerusalem’s City Center on November 30 and the Husseini backed Salameh gangs attack (400 armed men) on Tel Aviv’s suburbs on December 8. “They that sow the wind, shall reap the whirlwind”. Jews would never react this way, if Israel’s 25% nonjewish population (most of the settlers) would try to create a state within a state after having announcend that they want to take over all of the land and that they see nothing immoral with expelling Jews to become a majority. This whole thing reeks of colonialism to me…. That’s because it WAS colonialism. The early Zionists were quite open about the colonial nature of the project. Proud of it, in fact. Remember this was the 19th century and the idea of civilised Europeans taking the lands and resources of the brown peoples was perfectly respectable, even admirable. Oh sure, the benighted locals would protest, but they’d soon learn that resistance was useless. That was just the way of the world when superior peoples had to deal with backward tribes. a) Settler colonialism isn’t quite as cool now as it was back then. b) The backward tribes did not meekly accept their lot. They’re still there. And they’re not budging. And that is why Zionism is doomed. Zionism swapped Jewish ethics for torture and brainwashes kids. It’s not worth a ferret’s fart. Longer than Apartheid South Africa? The Ottomans and their German allies tried to cripple Great Britain by seizing the Suez Canal. They failed, and Great Britain counter attacked and took control of ‘Palestine’. The rest is history. The Nazis were victorious in Poland in 1939 , Jackdaw and took their spoils. Don’t worship military logic. It is not surprising at all that your understanding of international law is stuck in Nazi times. After 1945 it is inadmissable to aquire territory through war. However, Iran has found a loophole. She uses non-State militias like Hezbollah and Hamas to acquire territory. International Law hasn’t yet caught on or caught up. How much territory has Iran acquired so far? How much is that compared to the Jewish “non-State militias” landgrab in 1948 and later as state terrorists? Iran has acquired a land bridge that extends through Iraq and Syria and reaches Lebanon’s Mediterranian coast. A “land bridge” ? Do you mean a corridor? But, the last time I checked, neither Lebanon, nor Syria, nor Iraq had ceded any territory to Iran, and Iran was neither claiming sovereignty over nor actually controlling any territory in those countries. Iran does have influence in those countries, but so does Russia, Turkey, and the USA. Jackdaw is terribly confused when it comes to the aquisition of territory and its legallity. It’s pretty much upside down. He thinks that Iranians acquire territory when they are invited to stay in or to move through it it while Zionist did not illegaly acquire territory they took through war and expulsion and it is totally legal to violate Syria’s or Lebanon’s borders and airspace. Not to mention half century of illegal occupation and illegal settling. What a mental mess. The Zionists made some stupid miscalculations. They thought the Palestinians were inferior so they thought they could always divide them. They thought the West would always give them a free pass. And they thought paupérisation would drive Palestinians away. It’s very interesting, Maghlawatan, that you feel that “the Zionists made some stupid miscalculations”. I suppose that to err is human, but all in all it’s obvious that the Jewish side of this conflict has been VERY successful. This article is about the Palestinian rejection of the Partition Plan. I would have expected to read a comment about the calculations or “stupid miscalculations” of the Palestinian side of the conflict. read up on true believers. not the most critical minded thinkers. On MW they only seem to know what they hate: zionism. what they believe in is hard to say. the palestinian arabs in west bank and Gaza know exactly what they believe in. Weiss and company decry tribalism only when it refers to jews that don’t think like him. Not very many. the millions of arab jews pushed out of arab nations put the lie to the conflict being about colonialism. at least they only attack european colonialism. Certainly not Arab conquest and colonization. Israel has the geopolitical equivalent of gonorrhea. Apartheid. I look at risk and I don’t speak Hebrew so I don’t consider hasbara to be serious. Israel right now is unmanageable. Maybe you think this is success. I don’t. There is nothing stupid to try to defend your country against terrorists that want to take it over and expell you. On the one hand, Fathi Nemer claims that “many myths have already been dispelled, such as the claim that Palestine was an empty, barren land upon the arrival of the Zionist settlers”. He adds that “for the longest time, this falsehood stood tall and fast, it was the accepted ‘truth’ for millions, a crucial baseline for the Israeli narrative”. Yet, in the very same article, the author tells us that he has read Jabotinsky’s 1923 essay “The Iron Wall”, and he summarizes the article thus: “Jabotinsky understood clearly what establishing Israel meant for the natives; he did not mince words…” In other words, “for the longest time”, the Zionists claimed that the land was empty; yet, in 1923, that “longest time” apparently had already ended because Jabotinsky wasn’t “mincing with words” regarding the inhabitants of the empty land. This is the nature of propaganda. You throw in all your gripes in one article, and it doesn’t matter if the gripes are mutually contradictory. There is no reason to bring up these grievances in the first place. After all, the article is about justifying the Palestinian rejection of the 1947 Partition Plan. But if it’s really important to throw in some of the grievances for the sake of convincing the convinced that they should be anti-Israel, then I would suggest avoiding the silliness. If you want to repeat the nonsense of the “empty land”, then leave out Jabotinsky’s essay. If the essay is an important element of anti-Israel propaganda, then spare us the “empty land” business. The two together make it obvious that the article is meant for idiots. Omg Nathan. What possibly can you be trying to accomplish here at MW central? can’t you find some other site that you can devote your energy to? can’t you leave these poor people be? In 1947 there were 1 million people living here. Now there are 8 million people living here. So yeah, the land was empty in 1947. And – just like that! – a Zionist wipes a million people (including Jews) off the map. Nazi Party member and known anti-Semite Konrad Lorenz salutes you. with 49% Jewish. The six day war was the longest suicide note in history. No need to convince someone to become anti-Israel if one considers how Zionist accepted the rejection of partitioning the country by its majority and what they did with the land and its majority. Fathi’s remarks, if taken in their strongest sense, claim that many Zionists in the same breath both denied the presence of the Palestinians and announced that Palestinians would be transferred elsewhere. He adds that many people believed at least one and sometimes both of these propositions. Thus he accuses the Zs of dishonesty and cruelty and their sympathisers of uncritical thinking and self-deception. This accusation is true or false but it is not inconsistent. I’m not as anti-colonial as some and I think that contact between Herzl and Rhodes was minimal at most but I’m grateful to Fathi for the reminder of how important British Southern Africa was to the early Zs both as a role model, for all that it was sometimes very cruel, and as a source of money. It truly takes an “idiot” to suggest that claim 1.) “Many Zionist myths have been dispelled” would contradict claim 2.) “One Zionist didn’t support one of these myths”. Your comment was obviosly meant for idiots. Wasn’t it, DaBakr? LOL. The premise of the article is that the Palestinians were right to reject partition – now, this can be discussed, you can agree or disagree with this, you can look at it from different angles – right morally, right in terms of international law, blablabla. But many people here basically simply say that the Palestinians got what they deserved by resisting partition, and might makes right. It’s like a schizophrenic response to the article, you know? – it’s not related to the issues the article raises. No, bcg, the Palestinians did not get what they deserved by rejecting partition in 1947. The Palestinians succeeded in foiling the Partition Plan. The proposal called for a Jewish state, an Arab state and a separate Jerusalem zone – and in founding these three entities, war would be prevented. 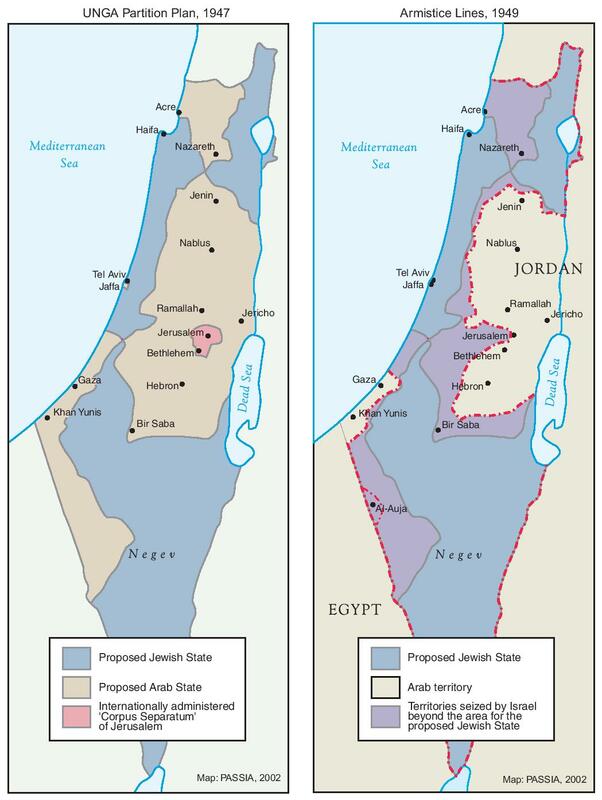 The Palestinians opposed the plan, and indeed the Partition Plan was not implemented. This was, therefore, a true Palestinian political success. The Arab state and the separate Jerusalem zone were not established, and war was not prevented. Of course, the Palestinian success was not entirely complete: the Jewish state was nevertheless founded. I suppose achieving three out of four goals is still a very good batting average. Nowadays, there are those who wish to remove the two-state solution from the agenda (see Mondoweiss articles in this regard). The political success of 1947 will very likely be repeated, but again it will probably be only a partial success: The Palestinian state will not be founded, and there won’t be a solution to the conflict – but the other state will continue to be. So, it will be a two out of three batting average (still quite satisfactory). Sure, and if the Zionists Jews would have accepted the Arab rejection of this proposal and instead accepted the independece of the state of Palestine, war would have been prevented, too. But here’s a bit of history for you, Nathan. The US abandoned the partition plan in March 1948 after it saw that it could not be implemented without war. It now became the leading proponent of putting Palestine under UN trusteeship. In April 1948 a security council resolution prohibited the declaration of statehood and at the end of April the US prosposed a truce under the condition that now new states were declared. Guess who violated the Security Council resolution, rejected the truce and chose to go to war? Why are you unable to admit that war could have been prevented, if the Zionists would have not founded a state within the state of Palestine, but instead you claim that (only) the acceptance of the partition proposal would have prevented the war, allthough you admit that a people of a country have the right to defend their country against partition, conquest and expulsion and also the right to restore its unity? Is there any coherence in your arguments? Don’t let Nathan’s Zionist grammar affect you. The Palestinians knew that the Partition plan would lead to war, not prevent it. They saw two options. 1. Partition. A Jewish state is established. The Jewish state then embarks on the conquest of the rest of Palestine. War. 2. A single democratic state in all Palestine, in which Jews and Arabs are equal citizens. No war. The second option was the one they kept proposing, up to and even after the war. Don’t let the Grammar Nazis affect you. English is my third learned language and I really don’t care. Talkback – “The proposal called for a Jewish state, an Arab state and a separate Jerusalem zone – and in founding these three entities, war would be prevented.” In this quote from my comment, I am giving you the logic of the UN in proposing partition. Indeed, their intention was to prevent war. Another quote of mine that you like to repeat is: “The people of a country have the right to defend their country against partition, conquest and expulsion and also the right to restore its unity”. Yes, people have the right to go to war – but this doesn’t mean that they will be successful in their war. The Palestinians had a right to oppose partition, and they had the right to resort to violence against the Jews. However, they failed in their war effort. You seem to have adopted the Palestinian view that “they were right”, and therefore the Jews shouldn’t have won the war. However, the Jews nevertheless believed that they had the right to found their state and to succeed in their war effort. It’s called “conflict” (i.e. the two sides see things very differently). A third quote of mine that you like to repeat is: “No one had a right to found another state therein (an illegitimate blow to the territorial integrity of an ‘existing’ state).” This is a presentation of a Palestinian argument. Obviously, the argument is false. Without getting into the debate if there was or wasn’t a Palestinian state (notice that I wrote ‘existing’ in quotation marks), there are many examples of states being founded within existing states. It’s called “rebellion”. It’s really quite simple: If you fail in your rebellion, you’re a “traitor”, and they might throw you in jail (see for a recent example the leader of Catalunia). The Confederate States of America is an example of a failed rebellion. However, on the other hand, if you succeed in your rebellion, you become a “national hero” or the “father of your country”. So, using your logic (“Palestine was an ‘existing’ state”), the founding of Israel could be defined as a successful rebellion. You should be able to live with that. But believing they had such a right does not give them the right. How so? Yes, there are many examples of states being so founded, but that does not mean that anyone had a right to found those states, even if those responsible are hailed as national heroes afterwards. Your attempts to set up some sort of moral equivalence between the Zionists and the Palestinians simply don’t hold water. They are failures. RoHa – I know that it’s hard for the anti-Israel crowd to understand that there might be another side to a story. I know that it’s pointless to explain to you that there are people out there in this world who sees things differently than you do – but note that there is, indeed, a phenomenon on this planet called “disagreement”. You, for example, think that the Jews had no right to found a state in Palestine, but amazingly the Jews thought that they do have such a right. Call it a “mystery” if that helps you deal with the strange phenomenon of disagreement and conflict. Anyway, when a state comes into existence, it exists. Even if RoHa thinks that it shouldn’t have come into existence, that state nevertheless exists. It could be that there will be those who oppose the founding of the state, and they might even go to war in order to end its existence. Listen now to the VERY complicated logic of political science: If the war effort of those opposed to the new state is successful, the new state will cease to exist. However, if the new state is successful in its war, then it exists even if RoHa thinks that this is not right. It could also be that the new state will even be accepted as a member of the UN without having to receive your approval. (c) there is no right and wrong at all. I know that you will keep on repeating your lies and distortions, but the correction is on record. – you would lecture its Jewish refugees and its supporters throughout the world on the “VERY complicated logic of political science”. The “if only the Palestinians had accepted Partition” is a type of alternate history, a form of fiction, not really attached to reality and the speculation of how history might have developed had things been “decided” differently is drawing doodles in the clouds. Zionism’s interaction with Palestinian nationalism and resistance might have been different if the personalities involved had been different, but the post WWI reaction to the presence of the Brits and the French elsewhere in the region clarifies that the path to self determination was not always smooth without revolt. The complicating factor of Jewish nationalism might have been a distant thought when the Turks ruled the region, but the Balfour declaration must have come as a shock, plus the mandate given to the Brits which incorporated the essence of the Balfour declaration, this must have been a shock to the people living in Palestine in 1917-1920. The tumult of the life of Jews in Eastern Europe gave an added (possibly essential) push to the revolution in Russia, a mass migration to America and the birth of modern Zionism. Resistance by the Palestinians was logical, but seems to have served them poorly so far. Maybe the world opposition to Netanyahu that the Palestinians consider their claim to a near future success makes the situation seem less bleak than it is. I cannot tell them to stop resisting, for they will not listen, nor will I sound credible. But I will say that opposing a tidal wave is not enough to stop it, and when the tidal wave consists of humans, then mere resistance might not be enough, other strategies of engagement that would be termed normalization, might in fact plant seeds to a better future. But certainly in the age of Netanyahu the resistance movement rather than the engagement movement is the spirit of the moment. I am not sure Palestinians ever actually rejected partition. In November 1947 almost all important Palestinian leaders were either in jail or in exile. Palestinian representatives do not seem to have made an organized response to partition until January 1948 while Zionist forces began genocide operations in December 1947 under the cover of accepting partition. Rejecting partition resulted in tragedy for the Palestinians themselves. Had they not rejected partition no Palestinians would have become refugees. So, according to the “logic” of this essay, the Palestinians were right to cause their own catastrophe. Accepting partition would also have resulted in tragedy. The Zionists would have driven the Palestinians out of the Jewish state, and then carried on with their plan to conquer the rest of Palestine. The catastrophe was caused by the Zionist rejection of a single democratic state and prosecution of their evil plan for a Jewish state. The usual victim pepretator reversal that’s also know from Holocaust deniers. As if the Palestinians expelled themselves and were not victims of the Zionist ethnic cleansing campagne. Did the Jews who didn’t “accept” to leave Nazi Germany in time cause their own “catastrophe”, too?!? Shame on you! You’re ignoring the point that partition meant not only a Jewish state, but also an Arab (Palestinian) state. The Palestinian leaders had no intention of co-existing peacefully with the Jews in a secular, democratic state. Their goal was – and is-an Islamic state. So? The existence of that state would not stop the Zionists from driving out the Palestinians in the Jewish state, and then attacking the Arab state. Not a good idea of the Jews to go there, then. Odd, since so many of them were Christians. You are lying, jon s. By now you should allready know that the Palestinian and Arab leaders proposed a secular, democratic state with minority rights in 1948. And if the Jews ever wanted to rule out that they are going to live in an “Islamic” state. they shouldn’t have moved to Palestine. But the Arab Palestinan idea was to release Palestine into independence and not to create a Palestinian state in a minor part of it in which Arabs are nationals and the Jews only fake “citizens” like we have the other way around in the Jewish Apartheid state. So what was it to be: a secular democratic state or an Islamic state? You seem to be contradicting yourself. Or maybe you’re just not sure. A happy Simhat Torah holiday to all those celebrating! Jon s, are you being deliberately perverse in your reading of Talkback’s comment? He is making two, distinct, points. The first is that, as a matter of historical fact, the Palestinians offered a secular democratic state. The second is that if the Jews had ever feared that the Palestinians would set up an Islamic state, they should not have moved to Palestine. There is no contradiction between these points. OK, I admit that I may have misunderstood Talkback’s comment, and that there’s no contradiction. However, the more important point is the assertion that the Palestinians and Arabs were seeking a secular , democratic state, with equal rights for all (including Jews?). That’s pretty far removed from reality. Yoni – You’re not sure that the “Palestinians ever actually rejected partition”. That’s really the most interesting comment that I have ever read at Mondoweiss. Let’s analyze the earth-shaking significance of your “not-so-sure” position. Since the Partition Plan calls for the founding of a Jewish state in Palestine (and also an Arab state, of course), you’re not so sure that the Palestinians rejected the idea of a Jewish state. Therefore, it’s not so sure that the Palestinians reject the idea that Palestine is the homeland of the Jews. This means that you’re not sure that they reject the Jewish narrative. Your view is as twisted as racist, Nathan. The Palestinians rejected their state to be partitioned. Period. They only wanted its independece. And of course they rejected the idea that their homeland in which they live should be the exclusive homeland of the Jews wherever they live. Palestine was the homeland of the people of Palestine, its citizens, whether they were Jewish or not. And not the homeland of any foreigner who happened to be Jewish. You still can’t formulate a single universal principle that could justify the founding of the state of Israel. You can’t talk about Palestine without differentiating between Jews and Nonjews. Your “Jewish narrative” is nothing else than racism/Jewish exceptionalism. Talkback – We understand why the Palestinians rejected partition and opposed the founding of a Jewish state. It wasn’t because of the reason that you suggest, but never mind. It’s obvious that at times a people feels that it must go to war – and the Arabs went to war. No one is suggesting that they didn’t have the right to go to war. However, there are no guarantees regarding the result of the war. They couldn’t prevent the rise of Israel, and that’s that. It’s now a fact of life. There is no need to justify the founding of Israel. Perhaps there is a reason to debate about events that may or may not occur in the future. There is no point in debating about events that have already occurred. You might want to discuss with your spouse the pro’s and con’s of having a baby, but after the child has already reached the age of 70, you might consider ending the discussion once and for all. It’s a waste of time. Anyway, the (universal) phenomenon is that states come into existence whenever there is a (particularistic) public that is determined and successful in founding its state. That’s the way of the world. – absolve the child – now a man – of the (war) crimes he has been committing deliberately and unapologetically ever since he came into this world. Again, Nathan. The Jews chose to go to war, not the Arabs. And they chose to go to war, because there was not legitimate way for them to create a state without the consent of the majority of the people of Palestine. Your logic is faulty, again. Not rejecting, and even accepting, a Jewish state does not imply accepting the “homeland of the Jews” narrative. The Palestinians could accept a Jewish state for pragmatic reasons* without accepting any of those fairy tales.